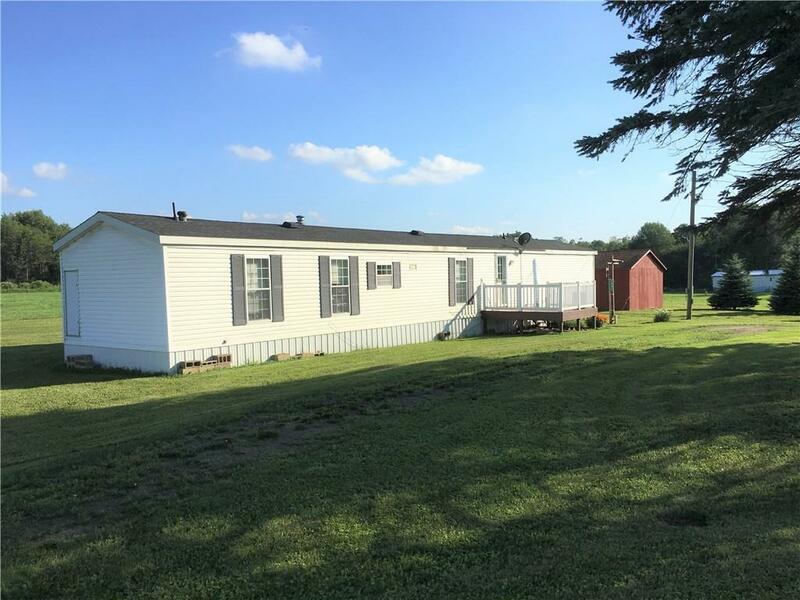 Well maintained 1995 manufactured home on 14,9 acres on the site of the first settlement in the Sherman township. But today you can enjoy the comforts of this 3 bedroom 2 bath home that is spacious and move-in ready. The kitchen features oak cabinets and country décor. A large addition off the rear provides extra living space or can serve as a formal dining room. The living room is open and spacious. The master bedroom is currently used as a craft room and has an on-suite bath A second large bedroom is located at the other end of the home. providing privacy for you and your guests. A third smaller bedroom is currently used as a small recording studio but could be an office or small bedroom. Two large sheds provide storage space. Current owners mow about an acre of the nearly 15 acres. Directions To Property: From Mayville, Take Rt 430 East Toward Sherman. Turn Right On Titus Rd. Property Is On The Left.